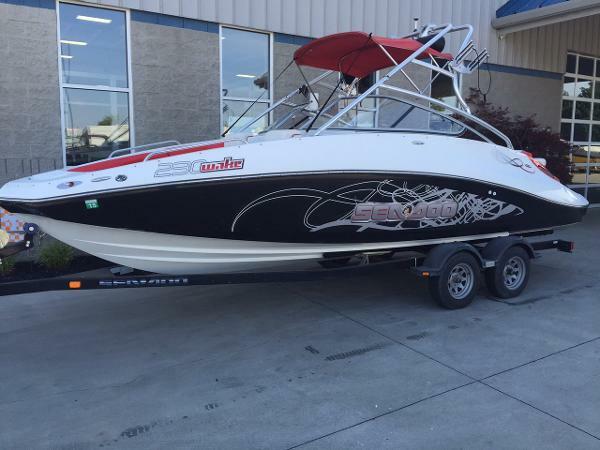 2009 Sea-Doo 230 Wake (510 hp) Please call the owner on this boat. Jean- Paul. This boat is loaded and well maintained. Low Hours! Twin Rotax 255hp, snap carpet, Adjustable height Track and Swivel captain chair, rear facing passenger, full instrumentation, depth gauge, Perfect Pass, Mega Stereo system, Wake board towers with 2 racks, dual control ballast tanks, non skid rear deck, bimini top, Factory cover and extra cover, Dual Axle trailer with brakes,ONE OWNER! The 230 WAKE has what you need to take the action to a whole new level. 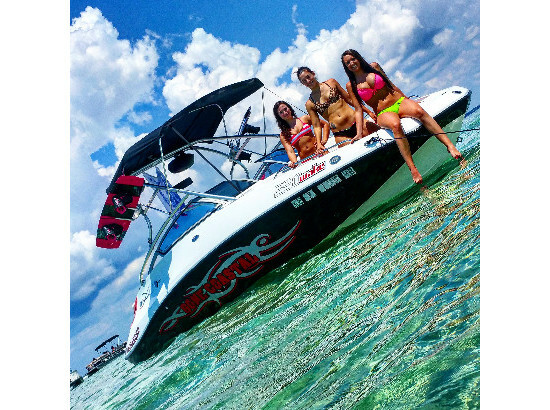 Like more power plus a host of standard features like dual WakeBoost system (1,000 pounds / 454 kg) for the ultimate wake. This is one show thats not going to be ending anytime soon. - For sale by owner! 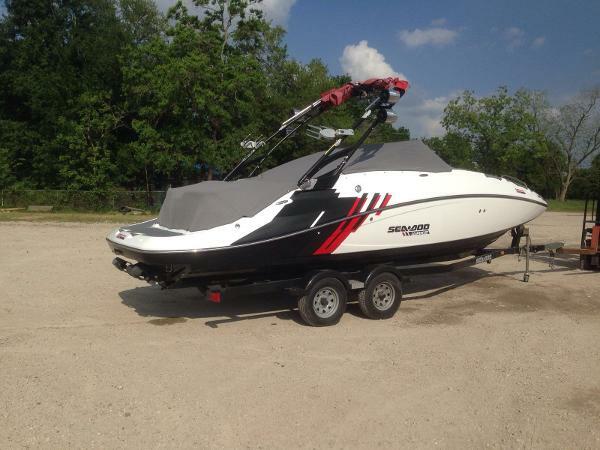 2009 Sea Doo 230 Wake VERY CLEAN! UPGRADED HULL GRAPHICS, LOADED WITH OPTIONS, TWIN ROTAX 4-STROKE MOTORS - 430 HP, LOW HOURS IN FRESH WATER, COCKPIT & BOW COVER, BATTERY W/ ON/OFF SWITCH, CD/STEREO W/SUBWOOFER, TOWER SPEAKERS, ANCHOR, BIMINI TOP, SKI TOW HOOK, SNAP-IN COCKPIT CARPET, HEATER, CUP HOLDERS, DIGITAL DEPTH FINDER. TANDEM AXLE GALVANIZED TRAILER WITH BRAKESINCLUDED! PRICED TO SELL! RECENT SERVICE & DETAIL! CALL FOR MORE INFORMATION. 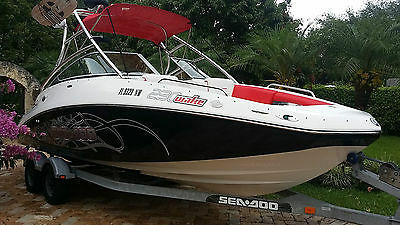 2007 Sea-Doo Sport Boats 230 Wake Twin Rotax 215hp 4-Stroke Full Mooring Cover Foldable Wakeboard Tower Wakeboard Racks Tower Speakers Capt'n Chair w/ Flip-up Bolster Depth Sounder BRP Cruise Control Boarding Ladder Battery Switch Karavan Tandem Axle Trailer w/ Chrome Wheels and Foldaway Tongue Please call for more information! 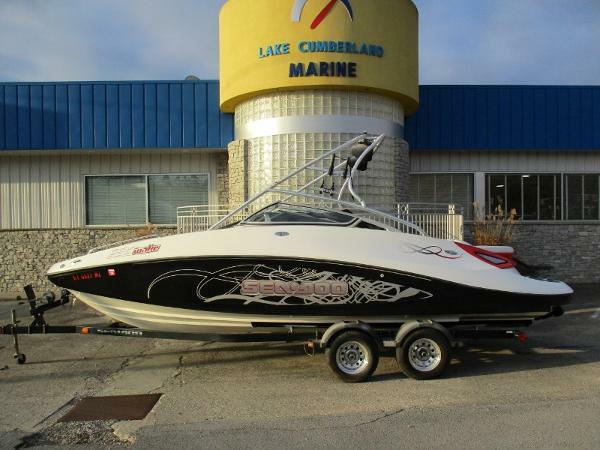 2012 Sea-Doo Sport Boats 230 Wake This boat is a consignment boat and the owner is very motivated to sell. Make an offer. All reasonable offers will be considered. 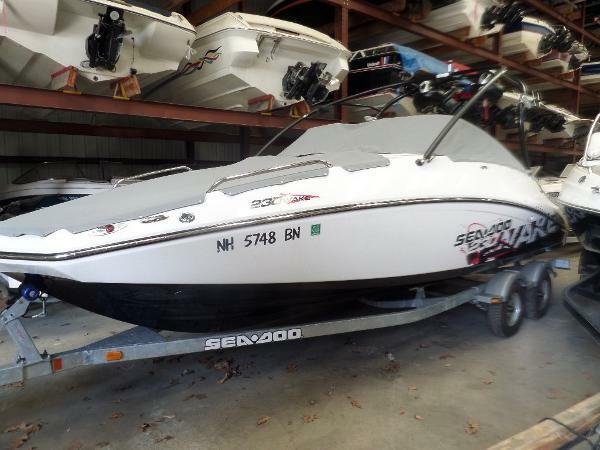 This boat is clean and in good condition! Used seasonally only, one owner only, very few hours (95). Comes with Sea-Doo trailer. 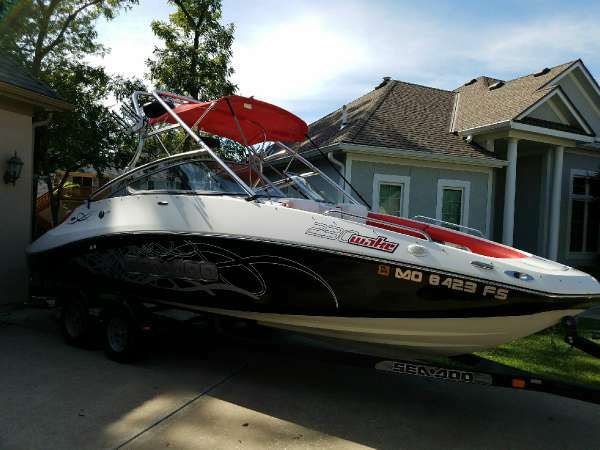 Manufacturer Description: The 230 WAKE. 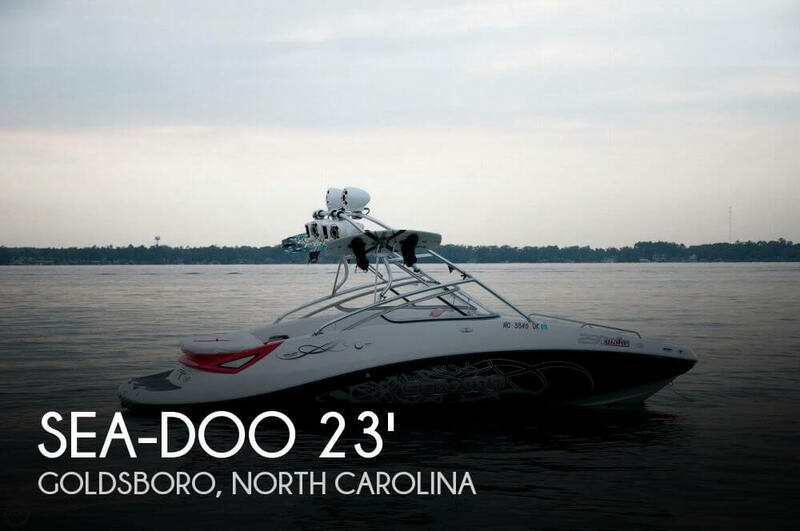 Featuring all the wake-specific features you need to take your sport to new heights. Like a dual WakeBoost System. An onboard heater. And a rear-facing passenger lounge for watching the action up close. It's also designed to give 12 people all the room they need. Because when a boat delivers this kind of air time, trust us, you're going to want plenty of witnesses. Contact us today! It may not be available tomorrow! 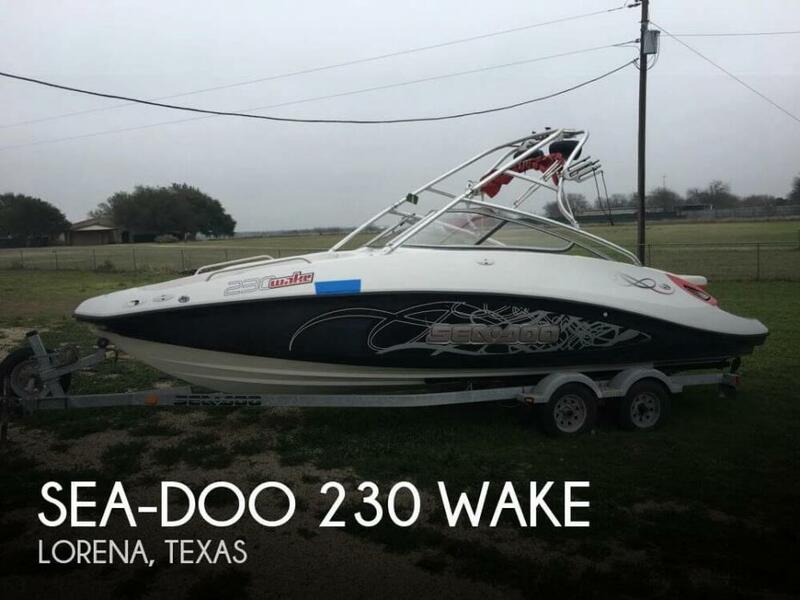 2012 Sea-Doo 230 Wake 2012 Sea-Doo 230 Wake 60hrs, This boat only has 60hrs on it and is in excellent condition. We have dealer inspection with no faults found. We can provide shipping anywhere in the US and around the world for an additional cost. Feel free to contact me with any questions. 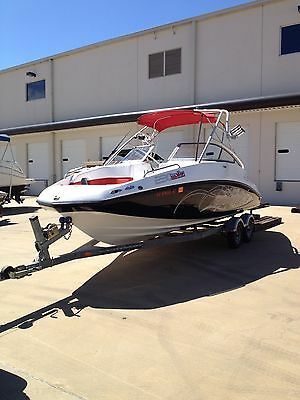 2010 Sea-Doo Sport Boats 230 Wake perfect pass, ballast tanks, trailer, tower and speakers! Fresh water boat! 2009 Sea Doo 230 Wake 2009 Sea Doo 230 Wake Edition Jet Boat. 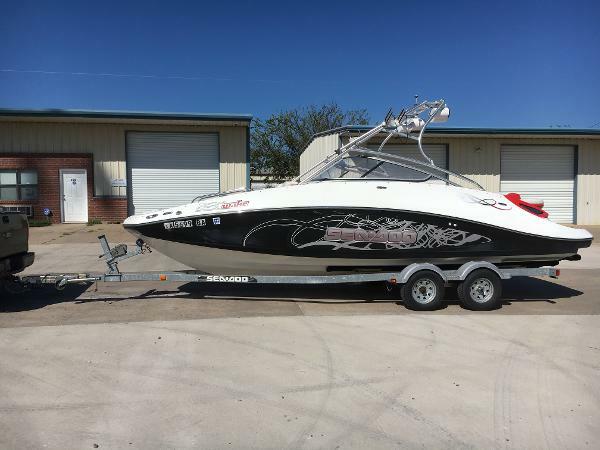 This Sea Doo 230 Wake Edition has twin 215hp High Output motors and comes with trailer. Local East TN one owner boat ran in fresh water. Boat has trailer, tower, speakers, covers, and more. Boat is in great shape. 178 hours. Call or stop by today for more info. 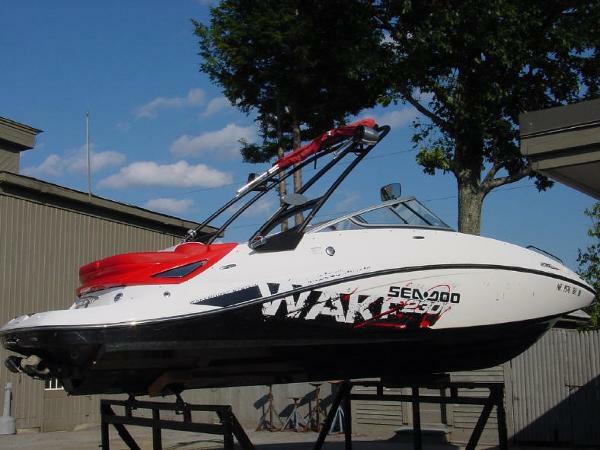 2011 Sea Doo 230 Wake 2011 Sea-Doo 230 Wake 510All fresh water use. 73 hours. Very Clean. Twin Rotax 255. 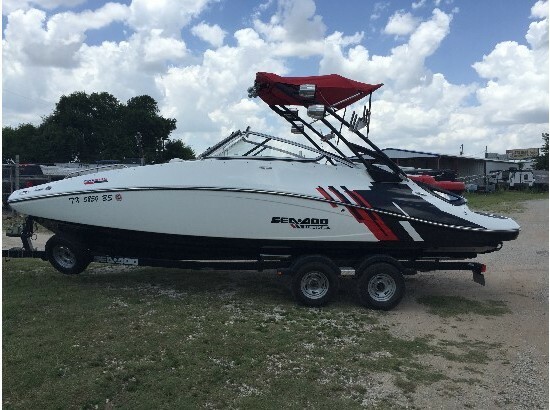 Wakeboard tower, bimini top, heater, perfect pass, ballast, tower speakers, mirror, bow walk thru doors. No trailer. $32,900. 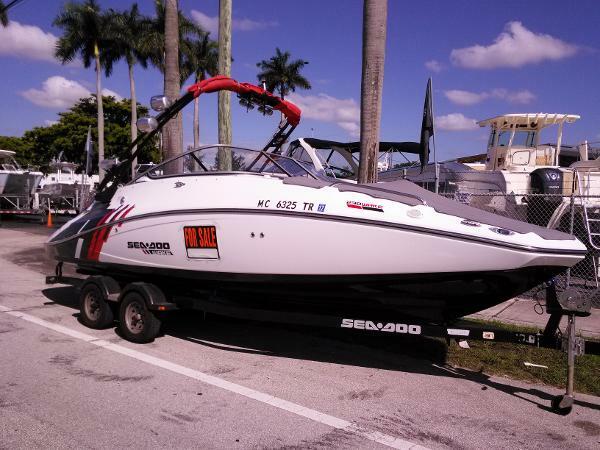 Trade OK.
2009 SEA DOO 230 WAKE EDITION 510 HP - ONLY 22.7 HOURS!! LIKE NEW! !